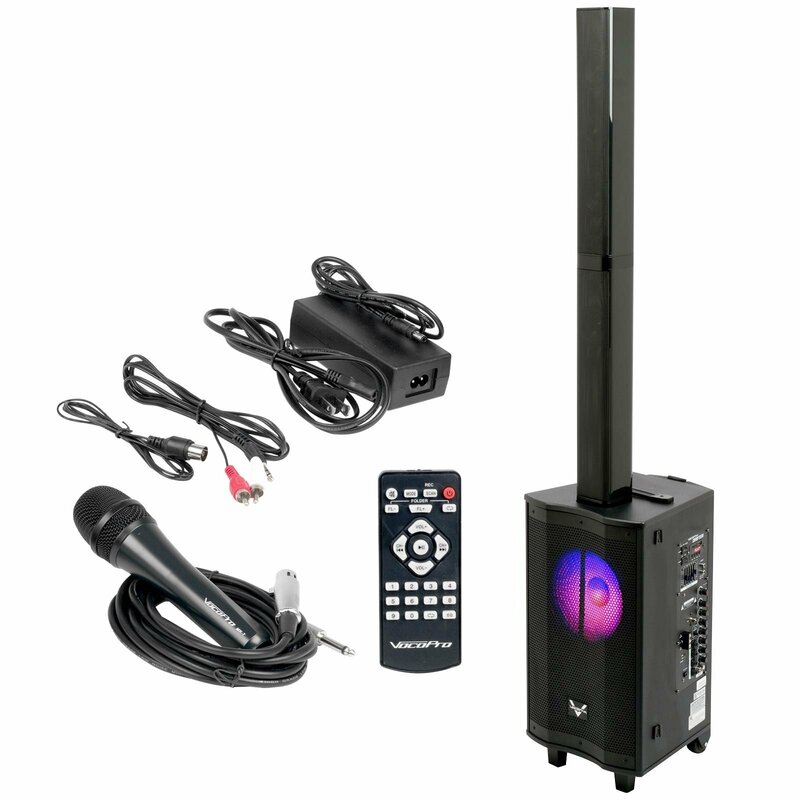 With years of experience in the music entertainment business, VocoPro is a leading manufacturer of Karaoke equipment, and has been providing patrons of bars, churches, schools, clubs and individual consumers the opportunity to sound like a star with full-scale club models, in-home systems and mobile units. All of VocoPro's products offer solid performance and sound reliability. 120 Watt RMS/1500 Watt Peak Line array design covers wider area with rich, vibrant sound. 4-6 Hour Rechargeable battery allows unit to be placed anywhere with or without electrical outlet. 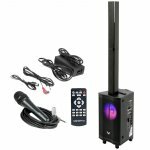 Great for DJ, karaoke, meetings and bands. Woofer is lit by a Multi-Color LED Light, with ON/OFF switch, which dances to the beat. Get hours of Music entertainment from units built-in Bluetooth, USB MP3 player, FM and line input. Sing with thousands of karaoke songs on YouTube? via Bluetooth with your tablet or phone. Jam along with two mic inputs and two guitar inputs. Professional echo effect for microphone. Includes one pro wired microphone.